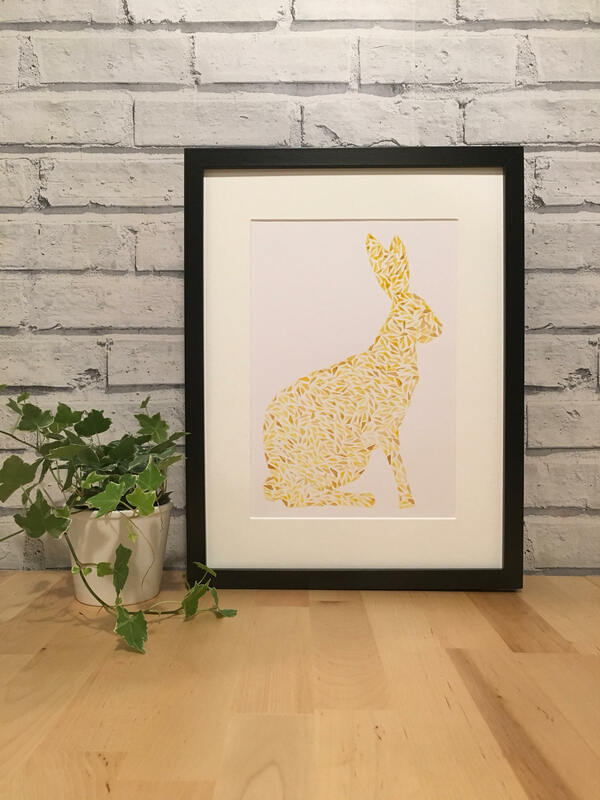 Oh hello there, happy hare! I cut my own stamps by hand, which make a lovely textured print. 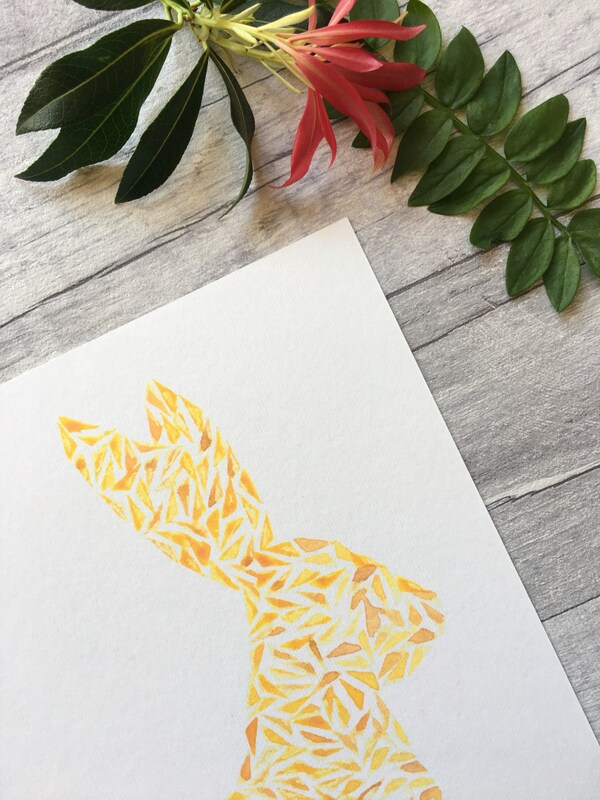 Each triangle is then printed carefully which creates this amazing animal! 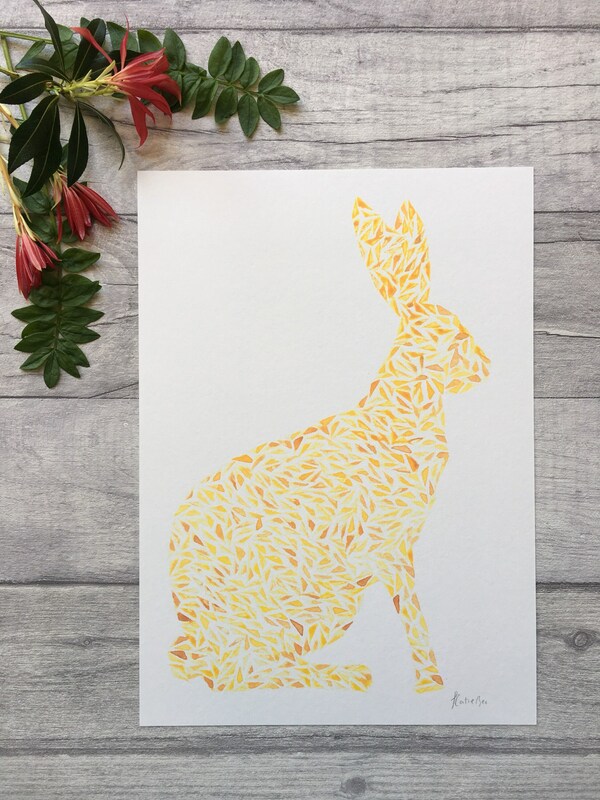 This little fella is a numbered print of my original artwork. 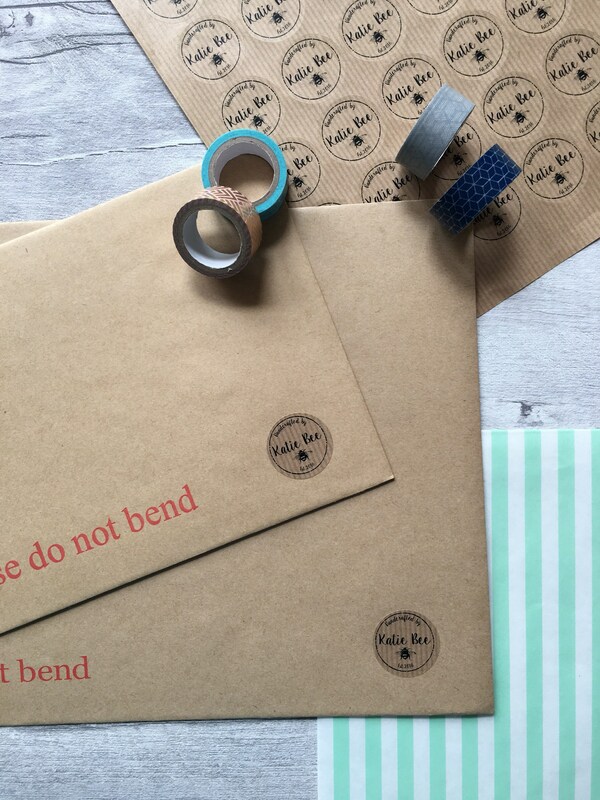 Each print is signed before being packaged and sealed inside a cellophane packet. All my prints travel safely to you in a board back envelope. 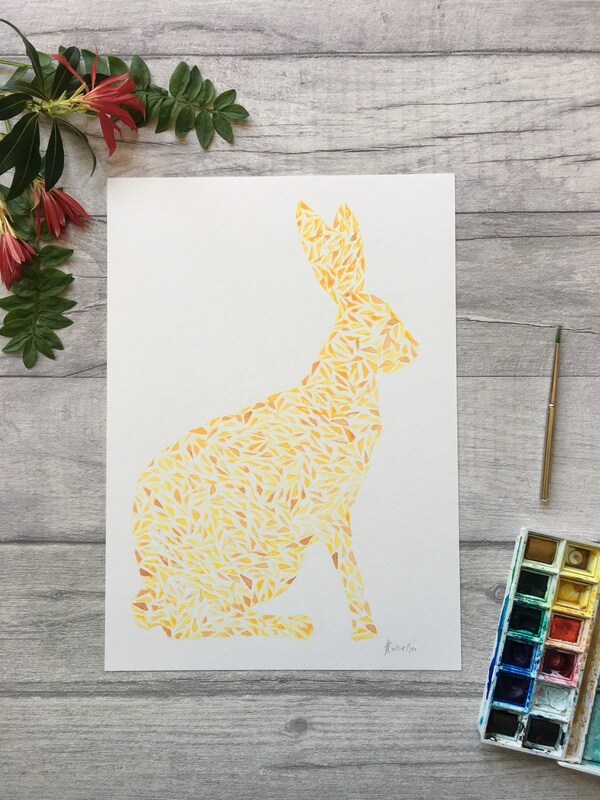 Hop along and treat someone to this awesome hare print!